I got this set up the publish in about a month's time, but decided to share it today because apparently I wasn't the only one to see this lookalike! It was featured in this week's Entertainment Weekly issue as well! Love it! If you get the magazine it's on page page 10! I don't really have anything to say except wow these look the same. 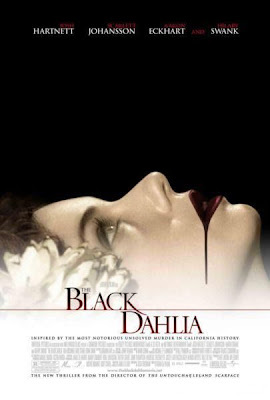 The Black Dahlia is definitely more powerful since it's the only image on the poster. Oh yeah, of the two Black Dahlia definitely gets my vote. I like the first one the best because it's the only image, too, but I like the face on the bottom one with the eyes closed. Black Dahlia definitely. I haven't seen either movie, but you're right, the girl's face being the only image on the first poster is more powerful. Very creepy images. I have to agree, the first one is more powerful. Love these posts! I have to go with everyone else here and say Black Dahlia. I especially like the less obvious coloring of her lips. 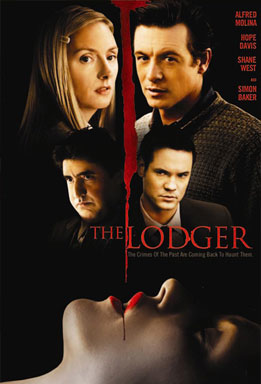 I definitely like the one for The Black Dahlia best, but I'm partial, because it's Mia Kirshner in that poster and I'm a fan of hers. I agree with you. The second one is just too crowded. I agree. The first one really is more powerful. Wow this might be the first time everyone is in agreement! And Veens, I love your new picture!